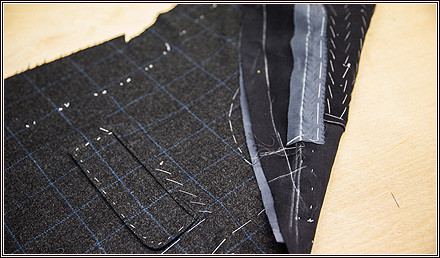 It’s been 1 ½ years since I started my coat making apprenticeship. Having undergone work experience at the main shop at 32 Old Burlington Street, I had been working with David Walters on the trimming which I really enjoyed. What came from that was the opportunity to visit the workshop a few days a week and absorb all the garments being made. In February of last year I then made a break from trimming and went to work with John K full time as an apprentice coat maker. My first few tasks were to pad collars and put buttons on. 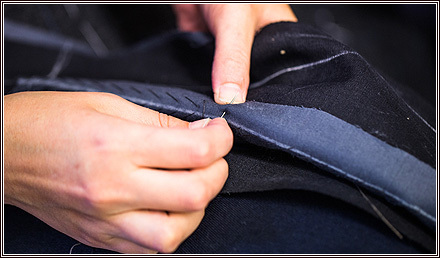 Padding a collar in essence means the sewing of lots of pad stiches onto the collar to give it shape and make it curl in the right direction. 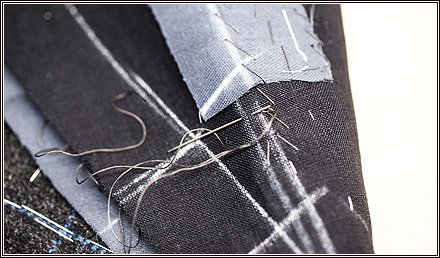 I’ve since gone on to ‘fix the jacket’ which is a phase that gets the jacket ready to have its pockets put in. 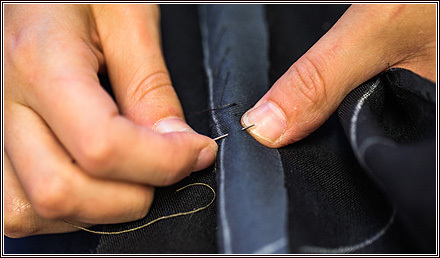 At Anderson & Sheppard, we are known for the soft canvas that we use in each of our coat jackets. Putting this canvas in is something I used to carry out with the guidance of John but it is now something I find myself doing several times a day and on my own. More so, in the last 6 months I’ve been working on facings and lapels and learning how to put final collars on after the coat jacket has had a fitting. By Christmas this year I really hope to be in a position where I know how to put the whole coat jacket together. From that point onwards it will be all about practice, practice, practice!